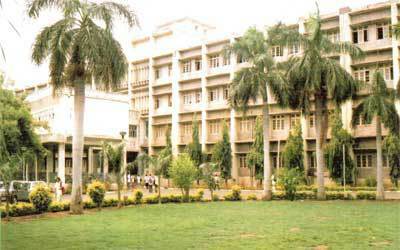 Vijaynagar Institute of Medical Sciences Bellary, Karnataka. MBBS 150 Seats. PG 76 Seats. The Institute of Medical Sciences Bellary in Karnataka is a government medical institution in Bellary offering MBBS, MD, MS, MCh & DiplomaCourses. The college came into existence in the year 1961. The affiliation of this institution is to Rajiv Gandhi University of Health Sciences. MBBS / MD / MS / MCh / & Diploma Courses – Vijaynagar Institute of Medical Sciences Bellary, Karnataka undertakes the teaching and training of students for under-graduate course of MBBS and post-graduate courses of MD, MS, MCh & Diploma. The medical college and the medical courses are recognized by Medical Council of India. Brief Details about Vijaynagar Institute of Medical Sciences Bellary, Karnataka – The brief details are given below for the aspirants looking for admission in the Medical College in Bellary, Karnataka. MBBS Seats 150 Seats. MBBS Admissions in Vijaynagar Institute of Medical Sciences Bellary are through Competitive Entrance Examination in Karnataka . PG Seats 76 Seats. PG Medical Admissions in Vijaynagar Institute of Medical Sciences, Bellary through Competitive Entrance Examination Karnataka . The post graduate specializations of 76 seats of 25 different courses are mentioned below for your perusal. Admissions are made based on the ranks obtained in all India as well as at state level Entrance Examination. Command Hospital Air Force Bangalore, Karnataka. MBBS 0 Seats. PG 34 Seats. The Medical College is a Government medical institution in Bangalore, Karnataka for studying MD, MS & Diploma Courses. The institution was established in 1976. The affiliation of this institution is to Rajiv Gandhi University of Health Sciences. MD / MS / Diploma / Courses – Command Hospital Air Force, Bangalore, Karnataka undertakes the teaching and training of students for post-graduate courses of MD, MS & Diploma. The medical college and the medical courses are recognized by Medical Council of India.